The Yellow power LED will not light if the board is connected to battery power only. If you are looking for a the micro:bit part in Fritzing, you can find one in topShed's GitHub repository . Heads up, all: the 2x AA battery pack that's currently listed as "purchased together" does not mate with the micro:bit, as its JST connector is too big. We are working on getting a battery pack that will work. Shawn - I've been able to make a workable 2x AA battery pack with these two SFE products: Jumper Wire - JST Black Red PRT-08670 Battery Holder 2xAA with Cover and Switch PRT-09547 The result is a terrific mobile dev suite that I'm able to take into my fave Starbucks and sit in the "comfy" chair while tinkering with the micro:bit. Dave P.
Does this come with a cable and AA battery pack? It does not, just the board. The LED array can act as a light sensor? How does that work? No, this is just the board. Got mine last week. Cool little device. Paired it with Nexus 4. Programmed it with Surface. Even got the edge connector that works with it. Three cheers for the Brits. Is there an ETA yet? Got mine yesterday. It is a lot of fun and my kids can't wait for their turn to program it. Suggest you list a mating connector as a recommended product. I'm very interested in possible using these in a course. I'm seeing that overheating failure of the USB chip due to static damage and/or power switchover from battery to USB seems to be a complaint of early users, especially if they're using the boards with students. Does anyone know if there's a hardware revision forthcoming to limit these failures? 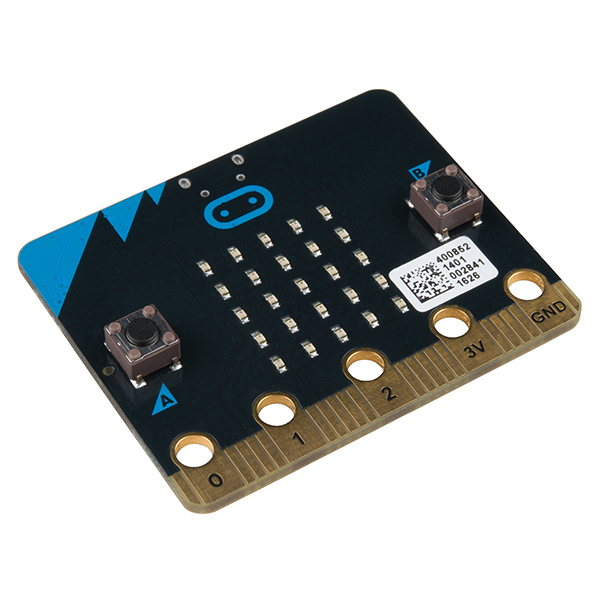 The echo system around the micro:bit is perfect for kids. My 9 years old is very excited. He is not the "Young Engineer" type, but he loves to draw on the 5x5 LED matrix, print numbers and messages, interact with buttons. As he loves gardening, the goal is to use the soil moisture detector and print its reading on the microbit. We are using the Microsoft Block editor, which is just like Scratch, together with Microsoft automatic uploader. I was looking forward to getting these for my kids as an intro to programming. I am trying to get familiar with it before I show them. I am using a Google Pixel C (Android 7.1.2) and it has been a absolute pain in the neck pairing and flashing these things. I have used the "official" Samsung Electronics UK 'micro:bit' app and Martin Woolies 'micro:bit blue' app. The Samsung app can pair, but after restarting the micro it sometimes reconnects... and even that is unstable. It frequently disconnects and I have to manually reconnect it. Further, to actually flash with the Samsung app, I have to put it in pairing mode and just "hope" that it succeeds. Putting it in pairing mode to flash it is not even documents anywhere! Also, there is no option to flash a file stored on my tablet. It will only use the ones from the website. 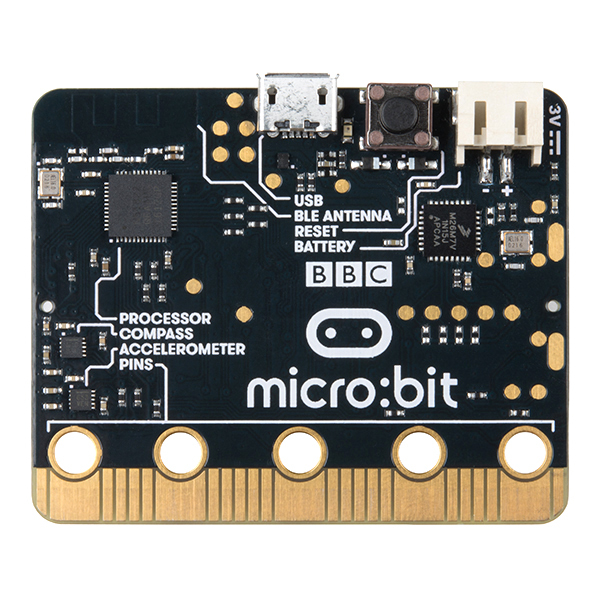 I can't tell how well the 'micro:bit blue' is communicating with the micro:bit, because I have to connect it to our desktop to flash their app to it... which I haven't done yet. However, the connectivity seems flaky there too. But I admit I haven't tried much more after finding out that it requires his apps to be installed to do anything at all... and it doesn't have the ability to flash them to the device itself. 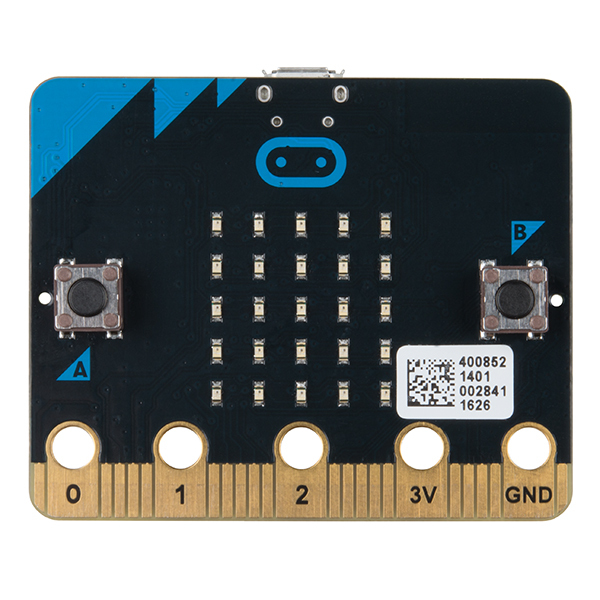 Right now I am struggling to get the micro:bit to re-pair using the Samsung app. I tried to pair just via the table/Android settings, but the app doesn't recognize it even though the micro:bit shows the pairing was successful by displaying the check mark in the LED grid. Now, if I try via the Android Bluetooth settings, everything is successful, but the Samsung app pops up and says it isn't ?!?! I'm giving it two stars instead of one, because I'm "hoping" there is a solution. I can't imagine that this would be geared towards kids to get them interested in this stuff. Hopefully it is just my current setup. Sorry to hear about the issues with the Microbit. Have you contacted our technical support department @ techsupport@sparkfun.com - they're usually great at helping to get things working, it may be something that they can help to fix. Cute, easy to use and quite versatile, but may have some limitations where robotics is concerned! The block language is ultra simple to learn and easy to use. I am experiencing a problem when using its ability to measure a pilse width. I need to for example, connect to a Hc-SR04 ultrasonic transducer. However the duration of the echo pulse is read incorrectly yielding about 700 us when the actual period is about 1100us. I tested the microbitâs ability to measure an external pulse width, and it reads very inaccurately. I have logged a call with th help desk, but the info i am reciving rrom them is not helpful yet. A couple of months back my nephew asked me if I could help him with his Science Project. He saw a few of the project I was working on: small rovers, some kind of clock, and an aquaponics system. He asked if I would help him build a rover. I was excited because it was an opportunity to get a kid into electronics that wasn't a screen. As he started to explain what he wanted to do, it became clear he wanted to make the Mars Rover. I knew he was young and didn't know what he didn't know so to him it was possible in two months. After some discussion, I had him simplify his project down an aspect of robotics. He chose to talk about actuators. As we looked at what we could do with linear actuators his heart became set on an automated xylophone. The scary part for me was choosing a microcontroller or single board computer that would be simple for him to program. I knew he was familiar with Scratch on the Raspberry Pi, but I didn't want him to have to set up a monitor mouse and keyboard at the fair with his project. 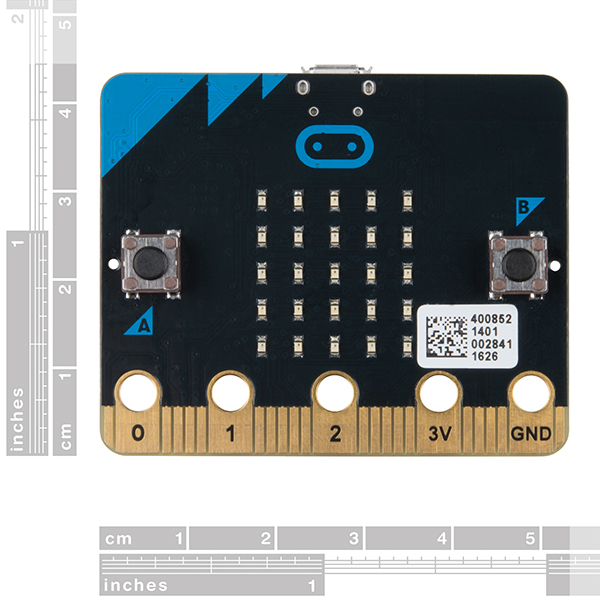 As I pondered what could I use I remembered a new product post a while that featured the Micro Bit and the lets code platform. As I rewatched the post I knew I found the controller for his project. I then made the purchase. Not long after it came was he able to start the base programming. Through little coaching and his familiarity with Scratch, he was able to program the micro bit to play 3 songs: Marry Had a Little Lamb, Twinkle Twinkle little star, and Jingle Bells. We connected the micro bit to the xylophone apparatus; which was made of eight homemade solenoids and a children's toy xylophone. We then connected some of GPIOs to N Channel Mosfet to control the solenoids. The one sang on this was, if the N channel fet was connected to a GPIO that shared the LED matrix the gate was held open. This was the only downside I have found. Here is a video of this project. https://www.youtube.com/watch?v=Ur4LeeBSdQI&feature=share I hope to produce an Instructable for it here shortly. Thanks for sharing your project with us. Keep us updated on how it goes, and we can't wait to see what you and your nephew come up with next! Got this specifically for scratch, but of the multiple computers I have, only one seems to be about to connect to it though scratch link. Mac didn't work at all... Identical BT devices on two PC's and still only works on one of them. Needed better software support for this to be useful with scratch.